December is here; Christmas could not have come soon enough. But we love Christmas because it is a season of beautiful surprises. Engagements parties here and there, streets and major towns festooned with balloons and streamers, family reuniting with their loved one for the big celebration. However, Christmas is also a season people buy cars. It is a season people pull out different rides on the tarmac. Some people use this season to surprise their spouses/parents/pastors with a brand new car. 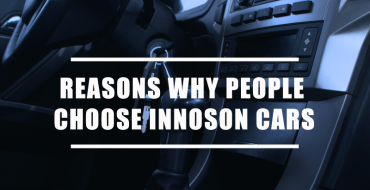 But the problem has been buyers’ choice, but this is no longer a problem because the best way to luxuriate this festive season is to get a brand new car from Innoson vehicles. You get to feel the shiny color, the new smell inside the car which has a life of its own, and the fun of taking off the plastic covers, the feeling of the key, thefun of starting the key for the first time and the squeaky rims and tires. Thinking of purchasing a car this Christmas? Consider these cars. This is a SUV of ease and luxury, better built and better backed. The IVM G80 is an SUV that gives you a sheer driving pleasure. As the ultimate driving machine, it comes with advanced technological features, strong body, improved sensory perceptions and has a great off-road ability. Remember not all SUVs are created equal. The IVM G20 is a 7 seater sedan family car built for space and pace. It is a car that can carry a full family. It has great balance and its white color gives the car a sporty look. This season, nothing should stop you from attending occasions with a large family if you have a G20 in your garage. The IVM granite (5 seater double cabin pick up) 2018 model is a car for the future. It comes in 3 variances which include 2WD, 2.7 Petrol. 4WD 2.7 Petrol 4WD 2.7 Diesel. The IVM granite is power, beauty and soul put together. It offers protection on all sides. It is time to own the road this season. 4. THE IVM G40: There’s one thing that will tell you if a vehicle is truly an SUV and that is the construction. You’ve probably heard that, if you want to drive off-road, you need a “true” SUV. And that’s certainly correct, but what does that exactly mean? Well, one of the first things that you might notice about true SUVs is just their sheer size. Once you’ve seen a huge car, you know it means business. But the IVM G40 is not just a big car but a big car that can handle anything. The IVM G40 is bold enough to pass through dangerous terrains, can handle bigger weights both in the number of passengers. This is an SUV to be proud of any day. Here, we put the fun back into driving. It is built with tougher materials that can handle rough ride with and utilitarian design for the African environment. A perfect car for newly wedded to cruise around town this season. You can get it on a discount this season. Go get yours. Most SUVs you see on the asphalt are just basically enlarged hatchbacks but not with the IVM G6. With the IVM G6, we created a higher standard. This SUV was inspired by the spirit of Nigerian style, you can as well call it a Nigerian revolution. Built to handle off-road driving so even if the road to your village is ridden with potholes, don’t bother, the IVM G6 will give you a smooth ride. The IVM Fox is a car for everyone. It provides you with a dynamic and sporty riding experience. More so, with its fuel-efficient technology; the power to own and drive your dream car lies within you. You can get it at a discount this festive season. This is a turbocharged engine carrier vehicle. It offers smooth driving experience. 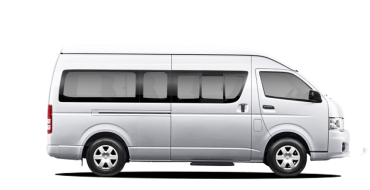 The Vehicle combines a strong appearance and powerful performance with comfort and style. It boasts of luxurious decoration, dynamic, and fashion steering wheel. It is a vehicle you will love to have this Christmas because you rest assured it can swallow up your loads with ease. Put yourself on the road this season and celebrate Christmas in style. 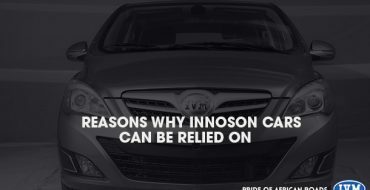 Visit www.innosonmotors.com or contact us via sales@innosonmotors.com or call- 08137075745, 08030889955. Also, we’ve partnered with Sterling Bank to enable Nigerians to own a car with ease. Through our IVM auto finance scheme, Nigerians can now own a car, drive home and pay as you go! All our existing and future range of automobile brands are available through this auto finance scheme and we are not relenting in our efforts to partner with many more Nigerian banks. 1) Choose your preferred vehicle. 2) Walk into any Sterling Bank nationwide to open an account for auto finance processing. 3) Contact us for the pro forma invoice of your preferred vehicle after Sterling Bank account opening confirmation. 4) Pay the required 25% down payment and wait for your vehicle to be delivered to you wherever you are in Nigeria. who knows the prices of G40 and GRANITE? Those two are just superb!